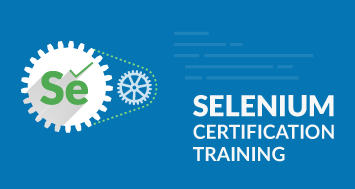 The DevOps Certification Training Program will provide you with in-depth knowledge of various DevOps tools including Git, Jenkins, Docker, Ansible, Puppet, Kubernetes and Nagios. 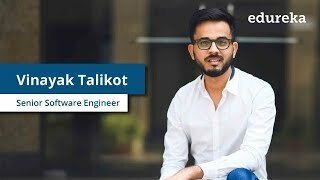 This training is completely hands-on and designed in a way to help you become a certified practitioner through best practices in Continuous Development, Continuous Testing, Configuration Management and Continuous Integration, and finally, Continuous Monitoring of software throughout its development life cycle. Why should you take DevOps? What will you learn as a part of this course? DevOps improves collaboration and productivity by automating infrastructure and workflows and continuously measuring applications performance. In this course you will learn about Version Controlling, Code Automation, Continuous Integration, Continuous Deployment, Configuration Management, and Monitoring of application. It was a great learning experience with edureka and support team is just awesome. Wherever you are struck no matter which background you are from they will help you resolve in no time. Kudos to the great work and i wish Edureka all the best!!!!! This is the first time I have attended a remote training in the form of online LED classes and wondered how effective it would be. The sessions were so timely, sorted and effective, therefore I would definitely be interested in attending other classes with Edureka. The instructor Arjun was very knowledgeable, patient and provided a wealth of information about the course detailing every bit and piece via theory and practical. 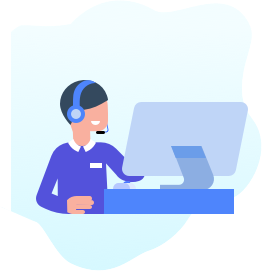 I am not easily impressed, reserved with my praise, and do not usually complete surveys but Edureka and its diligent customer support, services and so easy connectivity compelled me to write up a review as I felt it to be unfair to not appreciate anyone's genuine efforts. Good job guys. I will certainly love to enroll into future courses, whenever needed. I am an experienced web developer and recently availed a course of DevOps Training Certification at Edureka. I would like to appreciate about the support team they are excellent and provide quick resolution on any issues that I have regarding the course. Besides, the course instructor who is very knowledgeable. 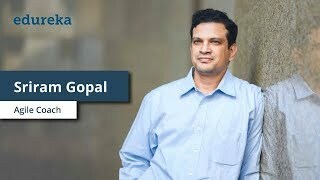 He gives the detail of course material and gives more detail industrial applications of DevOps tool by giving practical scenarios. Edureka also have LMS system which is a great platform to enhance and look back recorded sessions and for reference. Moreover, edureka offers life time access to the courses and contents. Thus, if you are looking for any course to learn then Edureka is the right place for you.  Edureka is one of the best platform as it makes the learning journey very peaceful and interesting at the same time. Instructor is covering all the topics and in depth as well. Training was well organized and the assignments together with it gave a good exposure to basics of Devops tools. Instrucor was panctual and covered each topic with the offline help in resolving issues. Best part was the support structure which was immediate and all time available to resolve the issues and guide to complete the course and assignments on time. Overall it was a very good experi3nce and have gained a good knowledge on Devops tools after this which helped me in my day today job. The system requirements include Windows / Mac / Linux PC, minimum 4GB RAM, 20 GB HDD Storage and Core i3 or above processor. All the Demo/Hands-on are to be executed on Edureka's Pre-configured Virtual Machine. The detailed installation guides are provided in the LMS for setting up the environment. For any doubt, the 24*7 support team will promptly assist you. The files and flow for the execution of this project will be present in your LMS. Please enroll for its access. 36 Hours of Online Live Instructor-Led Classes. Weekend Class : 12 sessions of 3 hours each. Weekday Class: 18 sessions of 2 hours each. Live project based on any of the selected use cases, involving implementation of the various DevOps concepts. 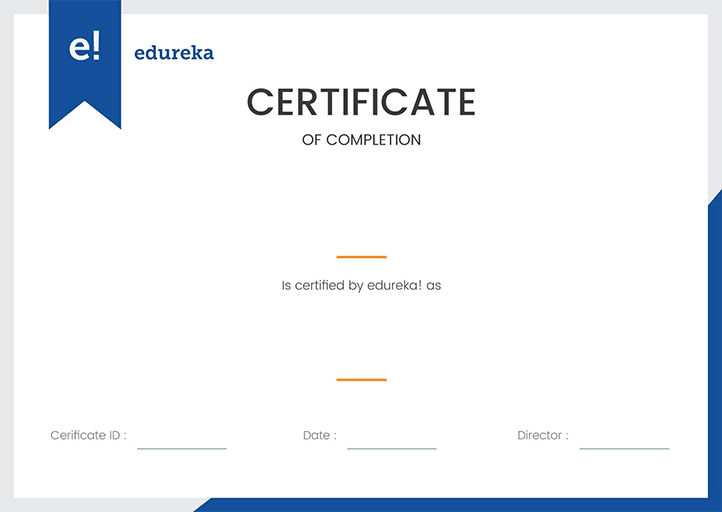 Sucessfully complete your final course project and Edureka will certify you as a DevOps Engineer. We have a community forum for all our learners that further facilitates learning through peer interaction and knowledge sharing. How much does devops certification cost? Edureka’s DevOps certification training is regarded as one of the best in the market today. We believe in impeccable delivery and assisting every learner that comes to us in fulfilling their learning journey. 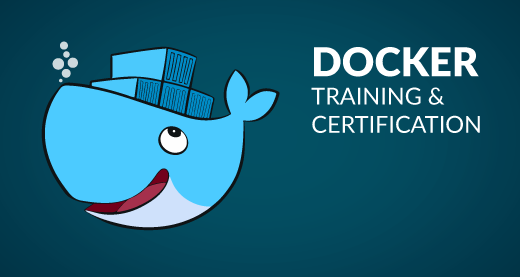 Our DevOps certification is priced at Rs 19,995/- and comes along with a dedicated, on demand support line and a lifetime access to our updated course materials. 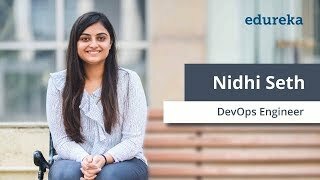 What are the roles and responsibilities of Devops engineer? 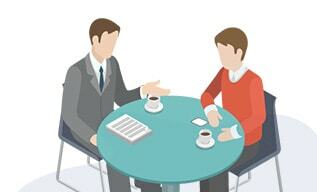 One of the main roles of DevOps engineer is to be an excellent communicator. The major focus for DevOps engineer is to bridge the gap between the development and the IT operations team. They serve as an integral member of both the teams and liaises between both. While the demands of a DevOps Engineer often require him or her to work alone, they are expert collaborators. What is a Devops lifecycle? DevOps is a software development process which involves Continuous Development, Continuous Testing, Continuous Integration, Continuous Deployment and Continuous Monitoring of the software throughout its development life cycle. These activities are possible only in DevOps, not Agile or waterfall, and this is why Facebook and other top companies have chosen DevOps as the way forward for their business goals. Who is a Devops engineer? DevOps certified professionals who are working in a real-time environment are designated as DevOps Engineers. The main area of focus for DevOps engineer is to maintain a seamless communication between the development and operational side of an organization. 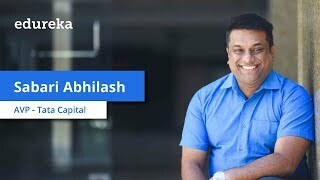 They follow the principles of continuous development, continuous testing, continuous integration, continuous deployment and continuous monitoring to make sure that the product gains maximum profitability. DevOps methodology is based on the principles of continuous deployment, integration and monitoring. It emphasizes the need for the continuous changes and upgrades that drive the production and maintenance of a software application. The process starts at planning and coding, and then the application is built and tested. The application is then released and deployed by the Ops team, who is also responsible for monitoring the application. 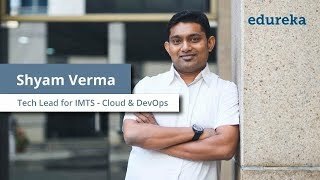 Why should I learn DevOps online? How is it better than offline training? Edureka’s DevOps certification training offers variable batch schedule to suit everyone’s needs. The weekend batches run for 6 weeks of live instructor led sessions. Which is then followed by real-time project for better hands-on. The accelerated program or the weekday batches can be completed in much shorter time with rigorous training sessions and live project to work-on at the end. How can a beginner learn DevOps? DevOps as a technology is dominating the job market. For complete beginners, we have compiled an extensive list of blogs and tutorials on our blogging and Youtube channel which can definitely be a great help if you are looking to start out. Once, you are clear with the basic concepts, you can think about taking up Edureka’s DevOps certification training to truly master the technology. What skills should a Devops engineer have? Familiarity with Linux Fundamentals and knowledge of one Scripting language, such as Python or Shell would help. A DevOps Engineer should be proficient with various Development, Testing, and Deployment technologies. He/She should understand various DevOps stages and should have experience with various DevOps tools, including Git, Jenkins, Docker, Selenium, Puppet, Chef, Kubernetes and Nagios. 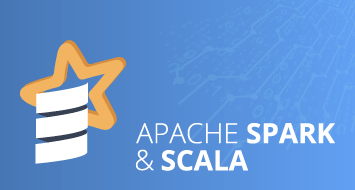 A DevOps engineer should have experience in developing and maintaining CI/CD pipelines. Good hands-on knowledge of a cloud service (AWS, Azure etc.) can be an added advantage.